I am humbled that last night I was honored with the distinction of having been the recipient of the 2018 Global Poker Award for the Charitable Initiative of the Year. I made the difficult decision not to travel to the ceremony in Las Vegas, as it was scheduled to have stretched into the Sabbath, and only now as the Sabbath has ended here in Israel, am I able to log back online and publicly acknowledge the incredible honor with this post. 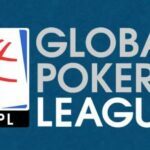 Global Poker Index President Eric Danis and Poker Central/PokerGO President Sam Simmons were kind enough to have given me advance notice, offering me the opportunity to prepare a video that was aired during the ceremony. I was fully aware that due to the broadcast’s time constraints the video would be shortened to approximately 3 minutes in length. Now, after the fact, with no time or space constraints, I would like to share my full acceptance speech with you. The video and transcript (with links and images included) are below. Last year, I set for myself a goal to run 1,000km (about 621 miles), pledging to donate $1 per kilometer to Save a Child’s Heart. 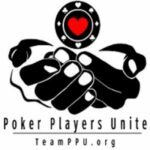 Over and above that, I set a total fundraising goal of $10,000 for the year, and intended to reach that number by trying to get members of the poker community involved with pledges of their own. I called this my Running Well campaign. Save a Child’s Heart has a mission: to improve the quality of pediatric cardiac care for children in developing countries and to improve the health and welfare of all children, regardless of the child’s nationality, religion, or financial situation. The organization is near and dear to my heart as, like me, it’s based in Israel. The children are flown here from all corners of the globe, where they undergo surgery and receive treatment not available in their homelands. Typically, a child spends 2-3 months in Israel: Pre-surgery prep, surgery, and then recuperation. Flights, surgery, medical care, room and board, and all other expenses are fully covered by donations. 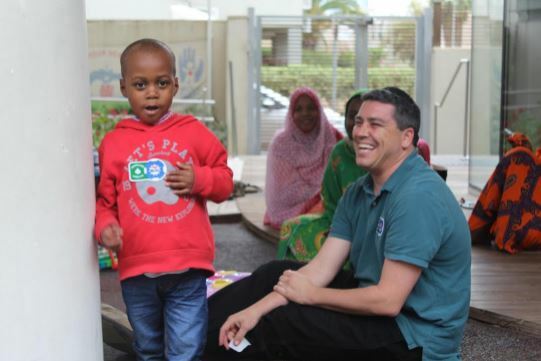 In addition, these donations allow doctors to be brought in from less developed countries and be given highly specialized training at Israeli hospitals. When the doctors return to their home countries, they can then provide care locally. I’ve visited Save a Child’s Heart headquarters on multiple occasions, together with my three children. We’ve met dozens of kids, both pre- and post-operation, not looking sickly in hospital beds, but rather looking bubbly and cheery, with toys, games, and a schedule full of activities to keep them busy. 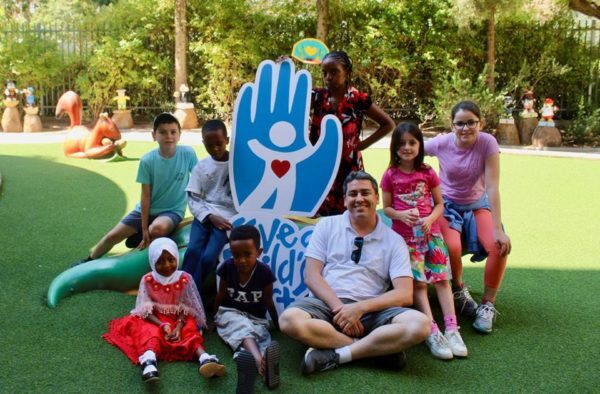 The charity has assisted over 5,000 sick children hailing from 59 countries, and has trained more than 120 medical team members to offer continuing care in those countries. It takes a long time to run 1,000km. For the most part, I did it in 10km increments, each of which took me about an hour. 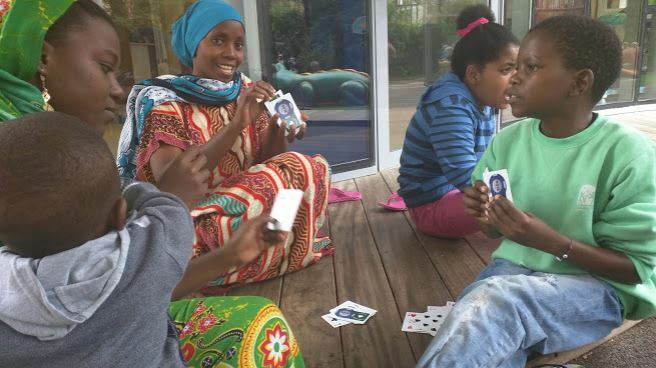 After each completed run, I posted on Twitter with the hashtag #charitypoker1000km. I did this not only to help stay motivated and keep track of the total distance, but also to try and build awareness of my campaign and get more of you to pitch in. And pitch in you did. 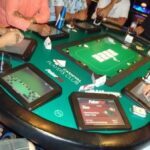 No fewer than 40 different parties, including individuals and poker industry companies, stepped up with pledges. Some of you pledged two-figure amounts. Some of you pledged three-figure amounts. A few of you went so far as to match my $1 per kilometer pledge. Some pledges were made anonymously, while others came from the most unlikely of places. Take Gabriel, for instance, who runs a fitness room in Malta. I walked into the room wearing my Save a Child’s Heart running jersey, and he asked me about it. After I explained the campaign, on the spot he decided to send in a 10 EUR donation. This is Gabriel Krncan. He runs the fitness room at @hiltonmalta. I streamed my final run of the year on Facebook Live, covering 15km over about 100 minutes or so. During that final run, a few last pledges came through to get us over the hill. Altogether the Running Well campaign raised $10,187 for Save a Child’s Heart in 2018. Eric Danis and Sam Simmons reached out a few days ago to let me know that my Running Well campaign would be recognized with the 2018 Charitable Initiative Award. I’m so sorry I couldn’t be there with you all to accept it in person, but I’m grateful to nonetheless have been given the opportunity to speak for these few minutes. Thank you, guys. Thank you to Alex Dreyfus for maintaining a commitment to the poker industry, and for continuing to utilize your organization’s resources to facilitate fantastic initiatives like the Global Poker Awards. Thank you to Poker Central and tonight’s sponsor, PokerStars. Every single member of our community owes those two organizations a debt of gratitude; they’re doing us all a tremendous service, by enabling the Global Poker Awards to happen, by putting on this show, and by giving us all a very special stage to shine on. Thanks to everyone who showed up tonight in Las Vegas at the PokerGO studios and to all the viewers tuning in from around the world. We all strive for greatness in this industry, and it’s a badge of honor to have one’s professional achievements recognized by one’s peers. But it’s genuinely humbling beyond words to receive acknowledgement for having engaged in charitable efforts. That’s not something one does in order to receive acclaim of any sort, and I feel exceedingly privileged to be a part of a community in which such efforts are deemed worthy of distinction. 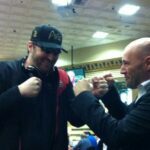 If anyone in attendance tonight or watching this event on PokerGO would like to support the amazing work done by Save a Child’s Heart, I encourage you to please visit saveachildsheart.org and click the big red DONATE button. In closing, I live in a tiny hilltop community with a population of 10,000. It’s astounding to me that the simple act of getting on my treadmill and utilizing social media to share my 1,000km journey with the world can have such far-reaching effects. I hope that this can serve as an inspiration to you all to make a positive difference in people’s lives. Thank you and Shabbat shalom from Israel. 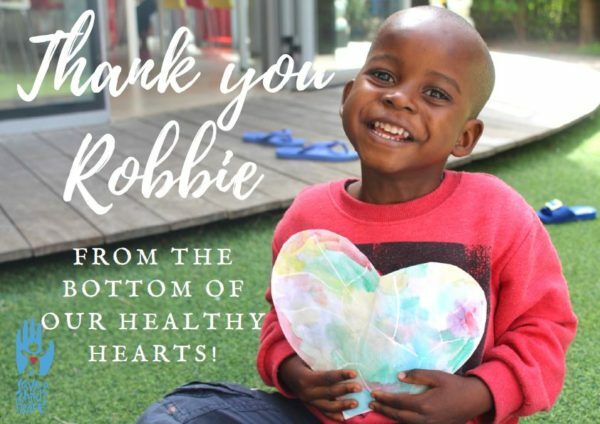 When I completed my campaign, the staff at Save a Child’s Heart headquarters were kind enough to send this sweet image to me.